This morning I went swimming at our community pool and met a woman named Ethel. 89 years old, has asthma and arthritis, and swims for an hour and 45 minutes every day of the world. It was cool this morning- 56 degrees! On June 3rd! It could stay like this all summer far as I’m concerned. 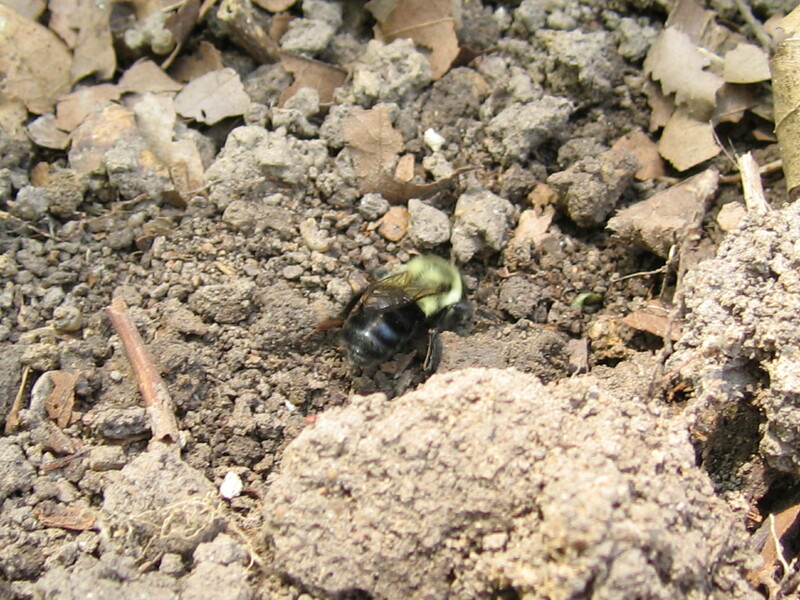 Yesterday we moved a big old pile of bricks that has been in our back yard since we moved in and I fear that in the process we dispossessed of their nest a queen bumblebee and the few worker bees she had so far been able to cultivate. 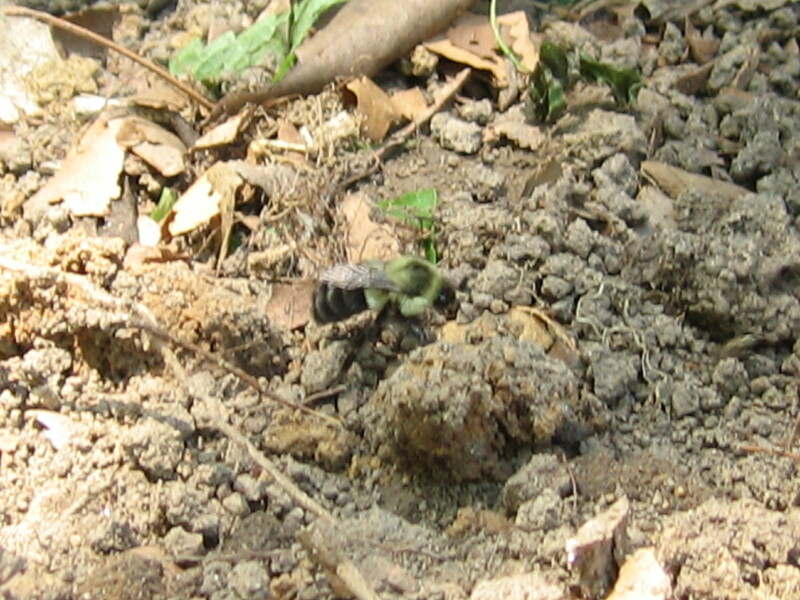 They have been buzzing around and around, the queen looking for a new nest site, the 2 or 3 workers doing something that is not clear to me, but mostly walking on the ground pushing leaves and dirt around with no discernible purpose. There must be one, though. I do hope the queen gets re-settled and is able to birth next years’ larval queens. I would hate to lose their presence because we moved some bricks. We won’t be moving anything else until after frost! Later- I checked on them this evening. Seems they have a new nest site. 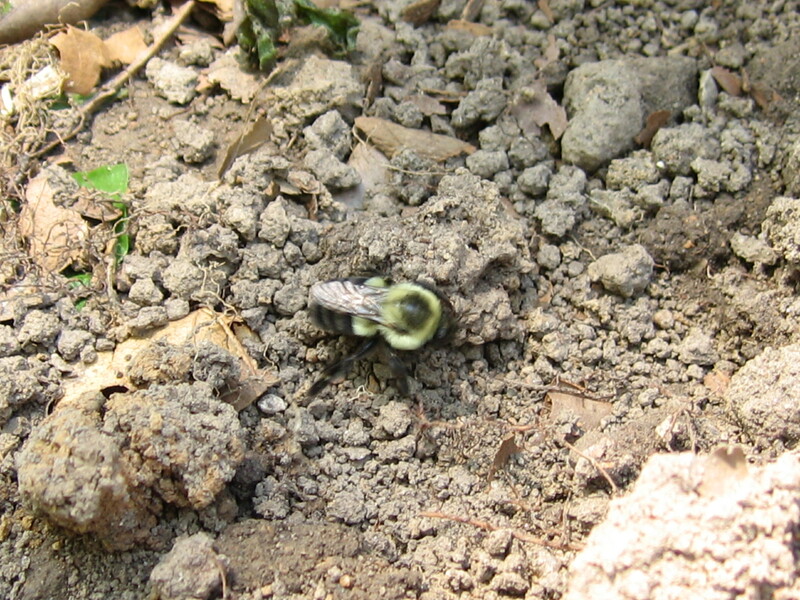 The workers are excavating and I saw the queen emerge from underground and fly off, probably to collect pollen. I think they may be ok. This entry was posted in insects, Spring. Bookmark the permalink.